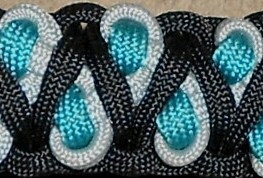 then scroll down to add the braiding. 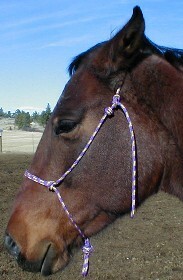 Spliced Noseband - Can only be made in soft halters - Splice can be any soft rope color. 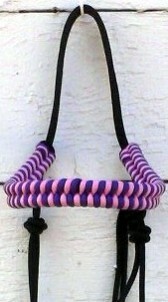 These can be the same braid as the noseband in most cases. 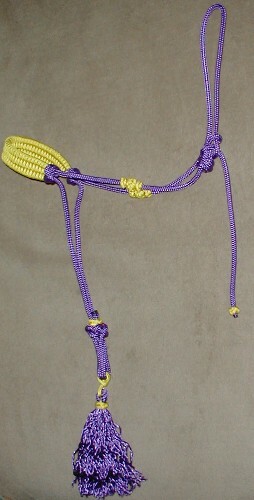 Cheek knots are made from the same rope, so they can not be a different color. 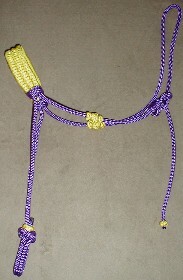 These are usually located at the tie loop and begaining of poll strap. 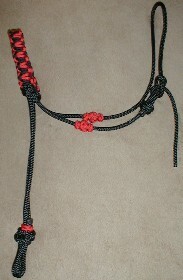 This would be located at the tie loop or throat knot. I can only do these in certain braids, so you only get a choice of color. 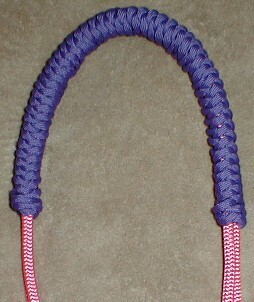 You can choose a different color for the top and the bottom braiding. 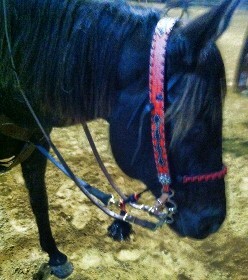 wherever you want on the halter. If you have any idea how long you would like the braiding on your poll strap add it to the box along with the color and braiding style. I will need to know length of browband. 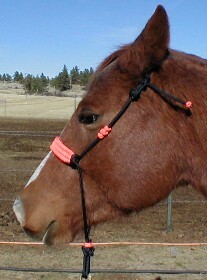 Place item on horses head, then measure from outside across the forehead to the other side. 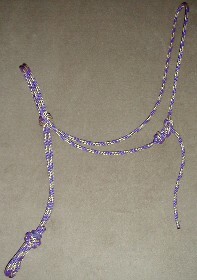 If you have a browband that fits, lay it flat and measure it from end to end. You can add it in the box or email me after placing your order.